While immigrants have long fueled the American experiment, passionate debate about the pros and cons of immigration are nothing new. The rhetoric of recent national and local elections highlights tensions around changing demographics, inspiring debate about the impact of immigration on employment, on crime, and on community identity, while challenging the citizenry to examine their values and notions of what it means to be an American. 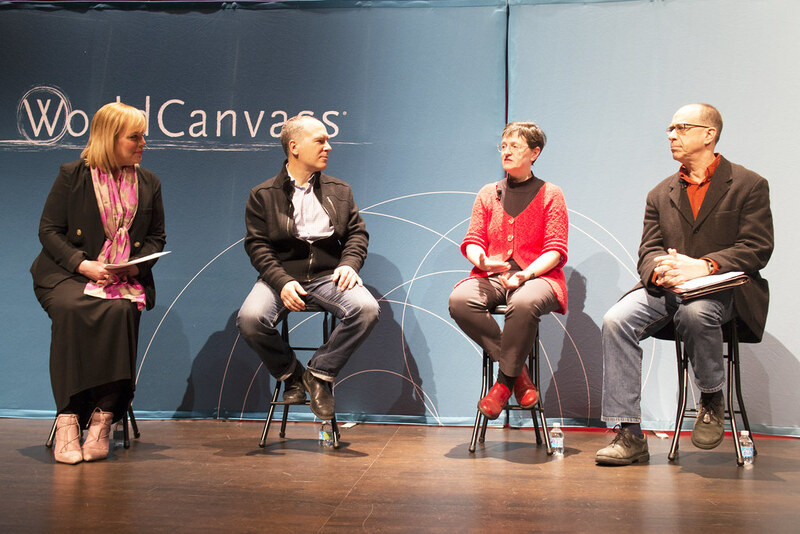 WorldCanvass host Joan Kjaer and a diverse panel of guests discussed the history of immigration in the Midwest over the past century and a half, as well as current questions about bilingualism, multiculturalism, and belonging and exclusion in times of international and domestic conflict. The Daily Iowan: 'WorldCanvass' ponders immigration to U.S.
WorldCanvass is also available on iTunes.